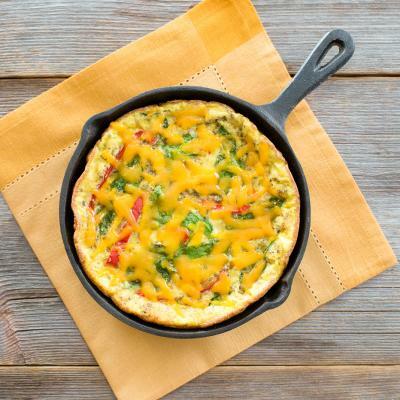 “Preparing this delicious frittata during the holidays has become a Crawford Family tradition. 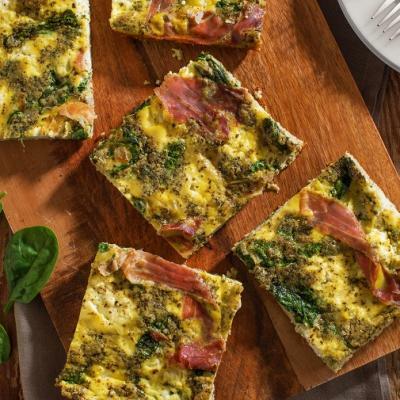 It’s a perfect dish for brunch, lunch, dinner or even a late night treat on cold snowy nights. 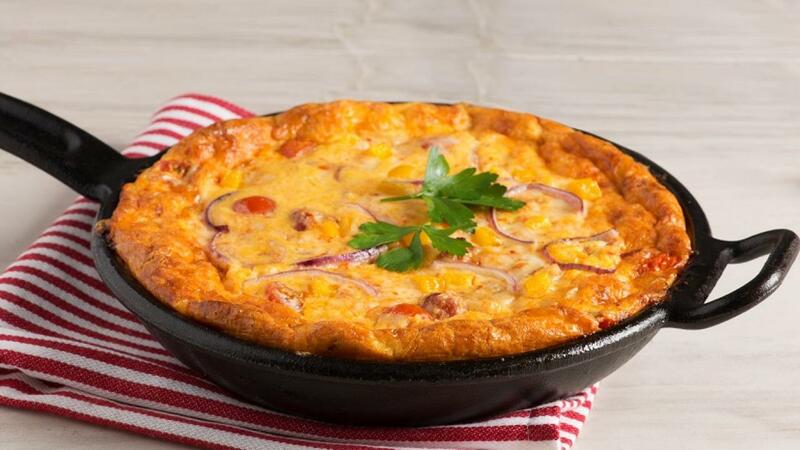 Frittata can easily be made ahead of time, saving yourself from spending the whole night in the kitchen. It also makes for a great potluck dinner recipe since it feeds a crowd and is easily transportable.” – Chef Lynn Crawford. 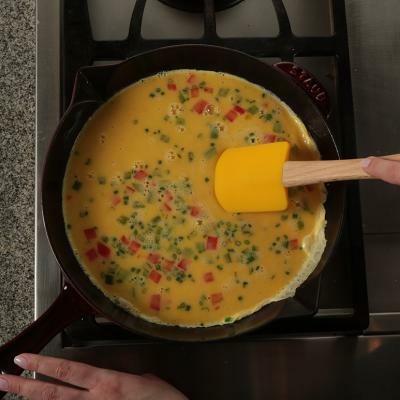 In a large bowl, whisk the eggs and cream together and season with salt and pepper. Heat the oil in a large ovenproof skillet over medium high heat. Add the garlic, onion, peppers and chorizo. Cook for 4-5 minutes until the onion and peppers are soft and the chorizo is completely cooked through. Add the eggs and tomatoes and stir together. Sprinkle the cheese on top and place in the oven. Bake for 12-15 minutes until egg has set and cheese has melted. Top with parsley and cilantro leaves.